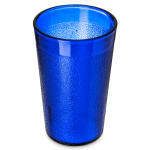 The Carlisle 550647 Stackable™ tumbler is made of SAN plastic, which resists chipping and staining. 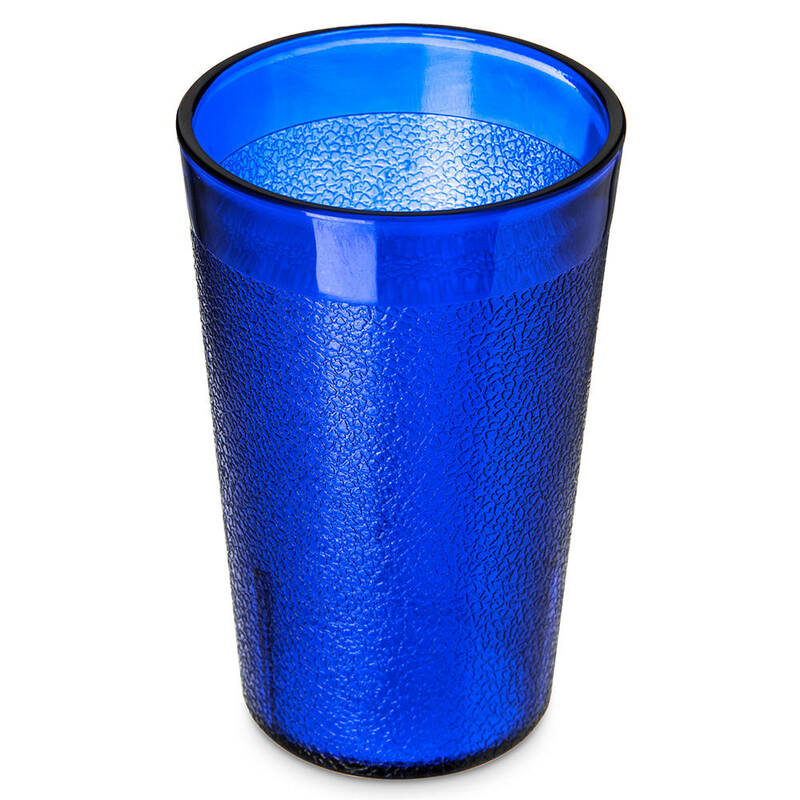 Measuring 2.75 inches diameter by 4.37 inches high, the glass has a 9.2-ounce product capacity ideal for serving soda, water, and more. Tapered sides enable the cup to stack while interior lugs prevent jamming. 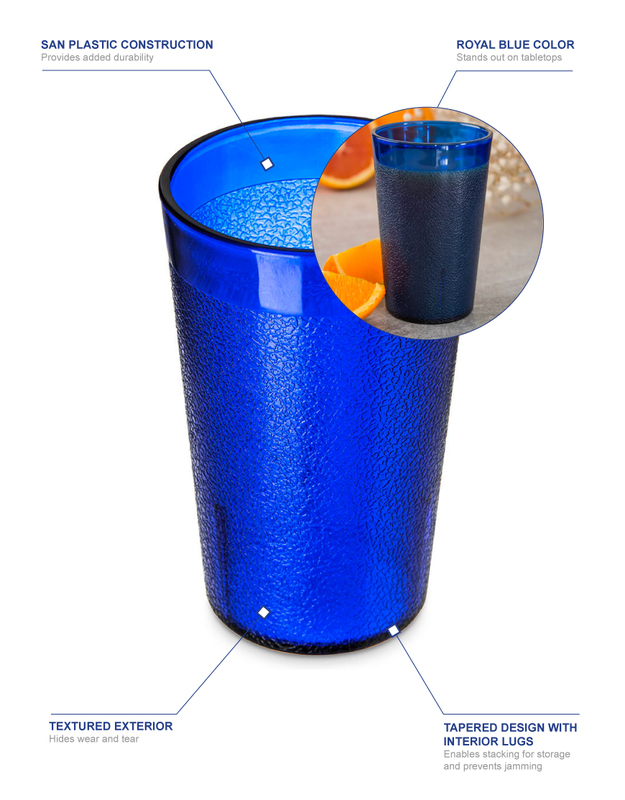 Scratches are hidden by a blue textured finish that adds a pop of color to tables.